Santaluce’s Jared Petronis went the distance to earn the victory over Park Vista. Late in the game with the pressure mounting is actually Jared Petronis’ favorite time of the action. 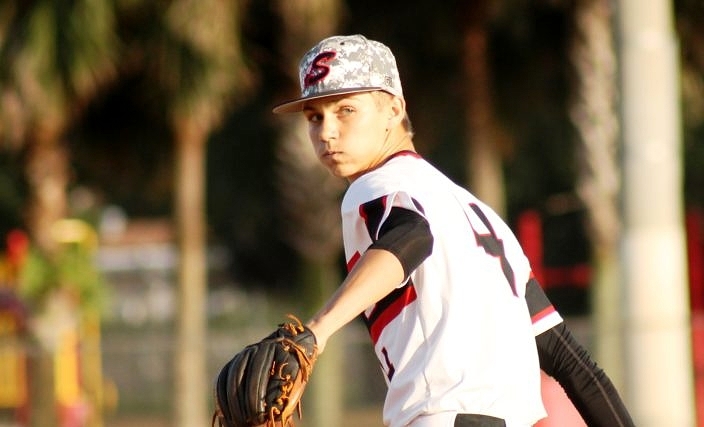 The Santaluces junior says it gets him into a rhythm and he actually gets better and better as the game gets tighter and the outs become more crucial. Friday night Petronis and the rest of the Chiefs embraced the pressure of a tight game just like they have all season long, which helped the club do something it had not accomplished in over eight years. Behind a complete-game performance from Petronis and an aggressive, up-tempo approach that has been characteristic all year, Santaluces defeated district rival Park Vista 4-2 at home at Santaluces Sports Complex. The victory is the program’s first win over the Park Vista since a 3-0 decision on February 19th, 2010, and the Chiefs (19-2) had lost 16 straight since that time. In more recent meetings the margin of defeat had slimmed down, including a 1-0 loss to the Cobras at their place earlier this season. Having split the season series and finished with matching 5-1 district records, the top seed in the 9A-10 district tournament will now be determined by a coin flip. Boca Raton is heading in as the third seed, with Lake Worth returning to the district playoffs as the fourth seed. Brendan Bell allowed two earned runs in five innings on four hits and three walks for Park Vista, and he had seven strikeouts. Petronis improved to 7-1 on the season, while also delivering his fifth complete game. The right-hander pounded the zone all night and finished with six strikeouts, while scattering six hits and four walks and allowing two earned runs. Working with poised precision, Petronis controlled the zone all night and maintained his composure even though the Cobras (14-5) managed base runners against him in all but one inning. Just as it has all season, the Santaluces defense also shined. In recent outings Petronis has recorded less strikeouts as he has pitched more and more to contact, trusting a defense that continues to deliver. Santaluces did not commit an error and also recorded a double play to end the first inning. Both sides traded runs in the first inning, with Zach Hurley scoring off an RBI single from Chris Seymour for Park Vista and M.J. Restivo reaching on a base hit and later scoring on an error for Santaluces. The Chiefs then scored to go ahead for good in the bottom of the third inning, as Michael Etchells walked, stole second and came home on an RBI single to left field from Restivo. The Chiefs were never content and maintained their aggressive attack throughout. They had six stolen bases in all and kept the pressure on the Cobra defense all night. That approach also helped manufacture another insurance run with two outs in the fifth, as Orrico walked, stole both second and third and then scored on a sac-fly RBI to right field from Angel Diaz. 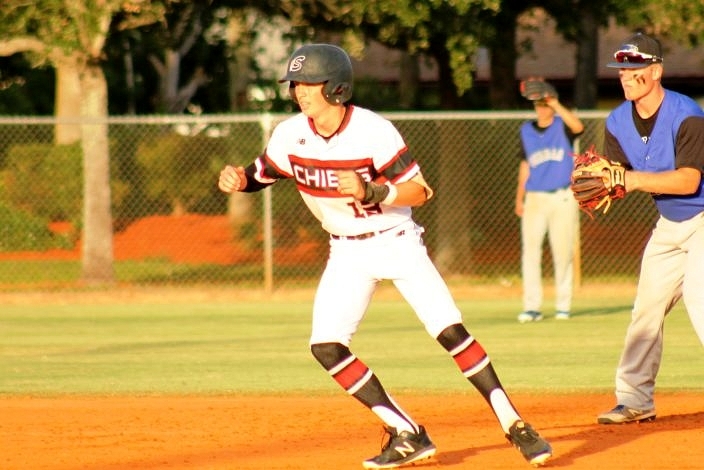 The Chiefs were aggressive on the bases, and M.J. Restivo had one of six stolen bases for his club. He was also 2-for-3 with an RBI and a run. As a four-year varsity starter, Orrico knows as well as any member of the team how big a win it was on Friday night. 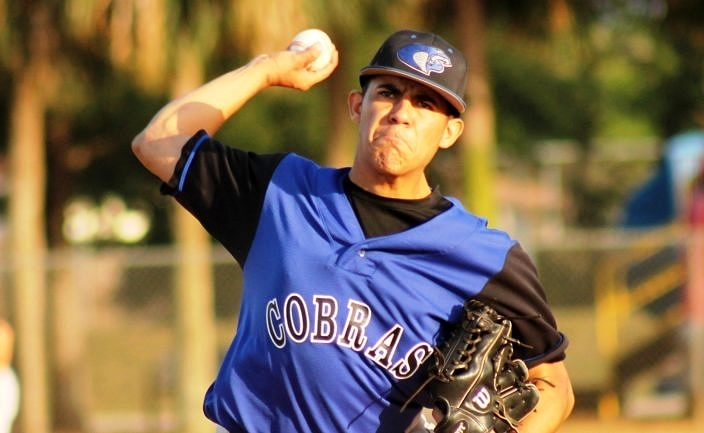 Although the two rivals could possibly meet two more times this season, should both advance to the regional semifinals, Friday night may have been the last chance Orrico and his six senior teammates had at finally earning a win over the Cobras. Santaluces also tallied a run in the fourth. Sophomore Eathyn Little reached base all three plate appearances on Friday, and in his second at bat he reached on an error and scored off a passed ball. Park Vista scored its only other run in the fourth. Cristian Desrosiers laced a single past the diving second baseman, advanced from first to third on a wild pitch that went to the back stop and then scored thanks to an excellent suicide-squeeze bunt from catcher Peyton Harmon. The Cobras did not manage to get another runner into scoring position in the final three frames.